Visit this beautifully converted industrial warehouse in Red Hook and enjoy fresh produce, deliciously prepared meals for all hours of the day, and coffee while overlooking the Statue of Liberty from the Gowanus Bay waterfront. NYC DOT and NYPD have partnered with the non-profit organizations Bike New York and Recycle-A-Bike in order to promote and educate kids across the city about biking. 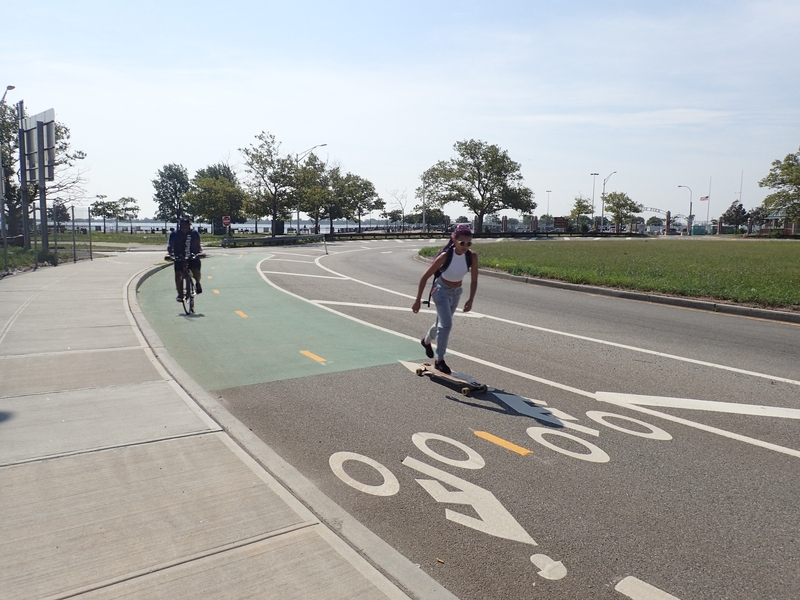 Brooklyn Greenway Initiative’s monthly clean-ups continue along the Columbia Street and Williamsburg Street sections of the Brooklyn Waterfront Greenway. Please join BGI on Saturday, July 9th from 10:00AM-12:00PM. Bushwick Inlet Park will connect the greenway along Kent Avenue and the planned facility for West Street. Department of Parks and Recreation also has plans for a waterfront park at Bushwick Inlet. DOT considered both on-street and park connections along this section of the Greenway. Pier 6 in Brooklyn Bridge Park is now open with a boulder mountain, a water-play area, climbing structures and two-story slides. Future plans include sand volleyball courts and a restaurant with a roof top deck. A second round of community workshops was held in September and October of 2010 in Downtown Brooklyn (CB 2), Sunset Park (CB 7), Red Hook (CB 6) and Greenpoint/Williamsburg (CB 1). The meetings explored the pros and cons of the route alternatives in each community board.